Library and Archives Canada (LAC) is fortunate to have a collection of early audio recordings that capture the popular music that Canadians were listening to in the early 20th century. This collection of newly digitized recordings is a broad sampling of popular songs recorded in the 78-rpm format. Albert Plunkett. Source: Canadian Music Trades Journal, Toronto, Fullerton Pub. Co., ISSN 0383-0705. Plunkett is best known for his work as a soldier-entertainer with The Dumbells group. The Dumbells was run by Albert’s older brother Captain Mert Plunkett. The group started in 1917 and was active until 1932. Harry Macdonough. Source: Library and Archives Canada music collection, Public Domain. 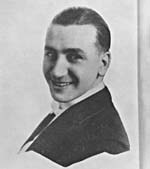 Born in Hamilton, Ontario, as John Scantlebury Macdonald, the singer changed his name to Harry Macdonough in hopes that it would help his singing career. 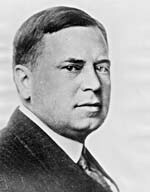 This popular ballad singer was a prolific recording artist and was involved in solo, duet and quartet recordings, many of which are among LAC’s collection. Margaret Ashburner is the Special Collections Librarian of retrospective music at Library and Archives Canada. This entry was posted in Music and Performing Arts and tagged Harry Macdonough, Music, musicians, virtual gramophone, William Plunkett by Library and Archives Canada Blog. Bookmark the permalink.